Wow! I can hardly believe that it is almost time to head Back to School. This year we will be homeschooling a Kindergartener, 2nd Grader, and 3rd Grader. 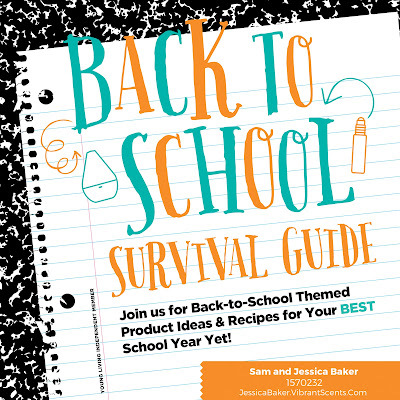 There are days when having 6 children ages 8 and under is downright difficult, but the products I will be sharing with you today really do help us not only survive, but thrive. 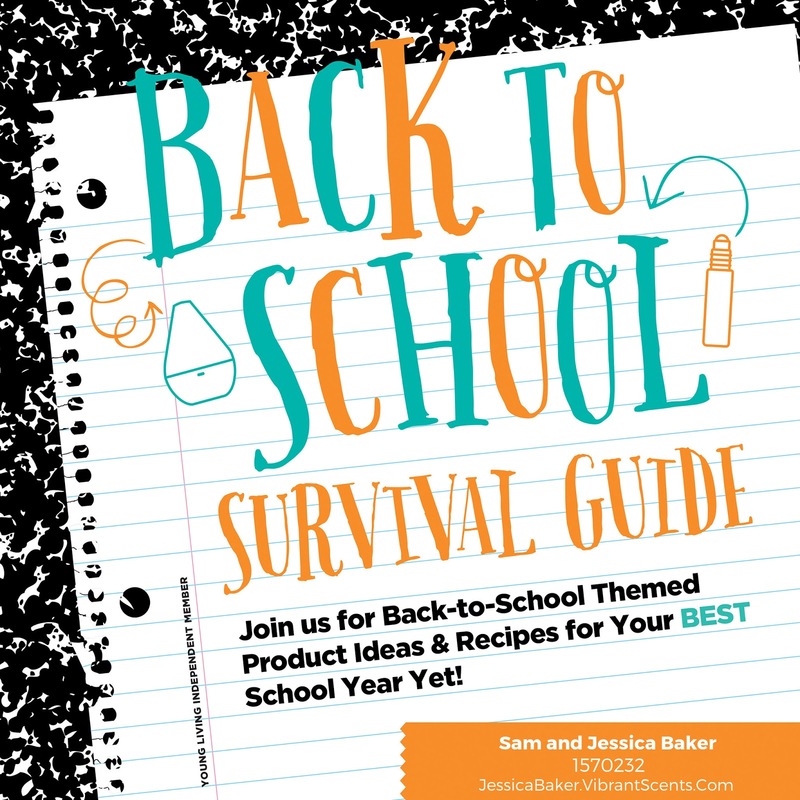 Whether you homeschool, private school, public school, road school, unschool, or anything in between, I'm confident this information will empower you to have the best school year yet! “Rise and shine and give God the glory, glory!” Our kids wake up early, but not always joyful! We love our happy day routine where we apply Joy over our hearts and sing “A Joyful heart is good medicine”. Joy is a blend of Bergamot, Ylang Ylang, Geranium, Lemon, Coriander, Tangerine, Jasmine, Roman Chamomile, Palmarose, and Rose (Yes, you read that right, it contains ROSE!). The aroma invites a sense of bliss, warmth, and togetherness. Joy blends really well with Lemon and smells wonderful when diffused together. Citrus oils are generally referred to as “happy oils”. Lemon essential oil is cold-pressed from the rinds of lemons, giving its aroma all the brightness of the freshly picked fruit. It’s aroma is not only cheerful and sweet, but it can also eliminate odors and infuse your whole home with its clean, lemon-drop scent when diffused. What a great way to start the day!!! Start the day off with this Rise ‘N Shine Smoothie. When you are hungry or your brain is starving, it is difficult to focus and learn! Looking for more breakfast options? 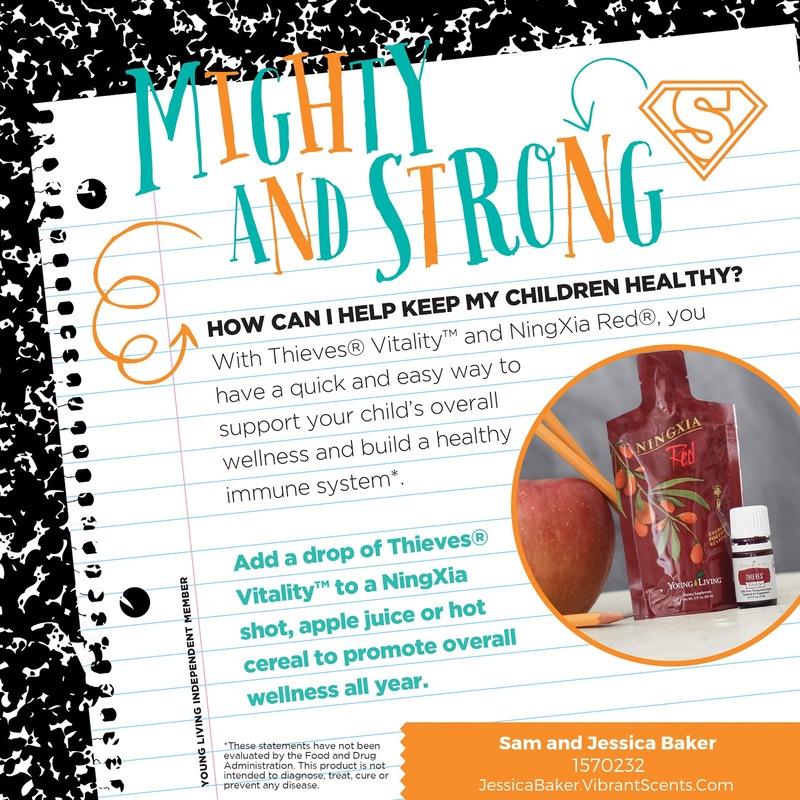 Looking to boost the immune system of your little superheroes? Our kids love their “Ninja juice”! 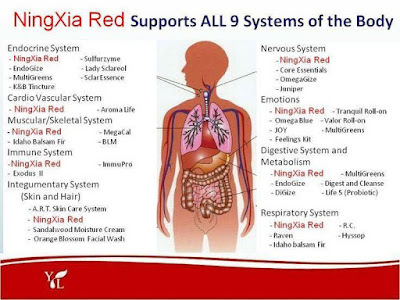 NingXia Red is a whole body nutrient infusion for health and wellness support. 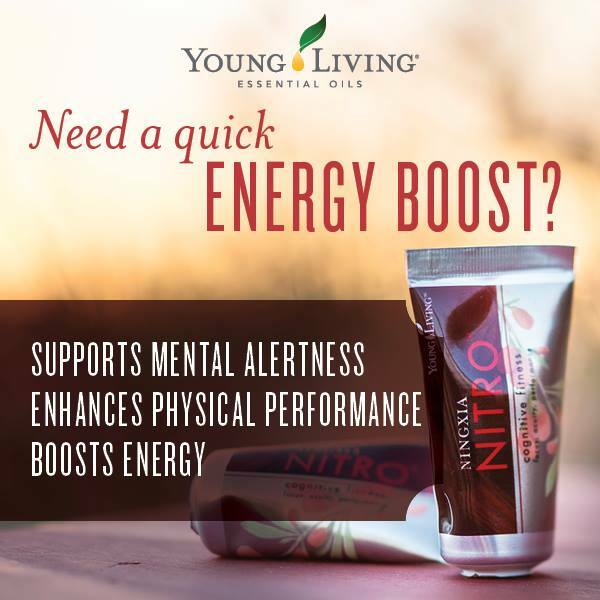 This antioxidant supplement supports energy, normal cellular function, normal eye health, and a healthy nervous system. It is derived from the NingXia Wolfberry, which is coveted for its health supporting properties. 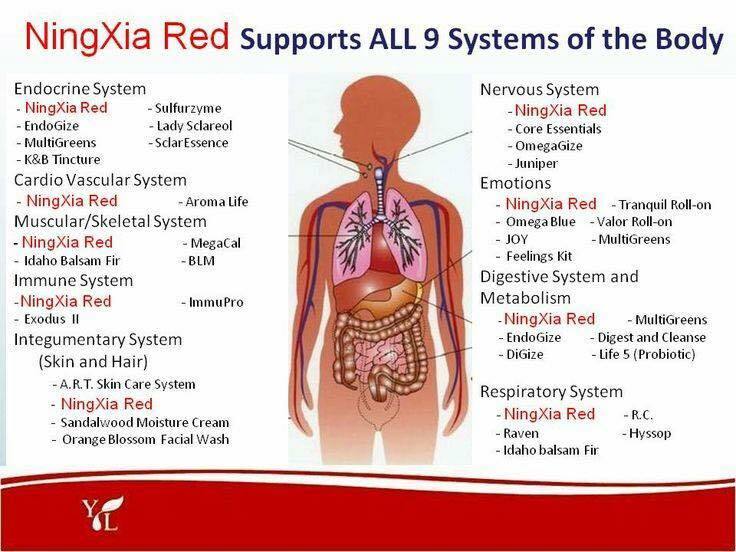 Drink NingXia Red daily for overall health and wellness support. 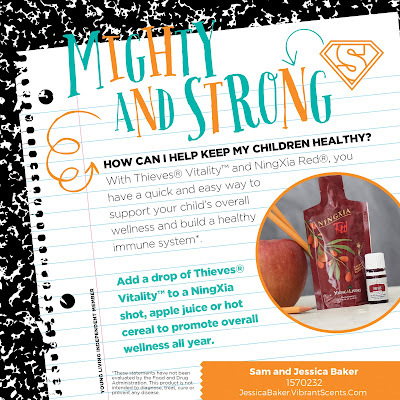 In one ounce of NingXia Red you get the antioxidant support equivalent of…. Plus wolfberry puree, cherry pomegranate, plum juice, grape seed extract, and essential oils! I invite you into our kitchen to join us for our daily NingXia Shot. Thieves supports healthy immune function and may contribute to overall wellness when taken as a dietary supplement. Thieves Vitality combines Lemon, Clove, Eucalyptus Radiata, Cinnamon Bark, and Rosemary essential oils. Because the blend contains Eucalyptus Radiata essential oil, it not only supports a healthy immune system but also maintains a healthy respiratory system. You can add the sweet and spicy Thieves Vitality to your shot of NingXia Red. I like to add Thieves Vitality to my morning cup of coffee. The children prefer either a “tea” made with warm water, a dash of honey, and a drop of Lemon Vitality and Thieves Vitality. Alternatively, you mad add Tangerine Vitality or Orange Vitaliy to further brighten the flavor. The smaller children enjoy Thieves Vitality added to applesauce. Diffuser necklaces or bracelets are a great way to enjoy the benefits of essential oils all day long, especially if you or your children are in a public school where you may not have the benefit of a diffuser running in the classroom. Stress away supports emotional balance. It is a natural solution created to combat normal stresses that creep into everyday life. This blend includes Copaiba and Lavender to reduce mental rigidity and restore equilibrium. Stress Away may help induce relaxation and reduce occasional nervous tension. As a mom to little ones, I use this one everyday! Valor essential oil blend is one of our most popular products and a favorite of founder D. Gary Young. Its woodsy, positive scent comes from a blend of Black Spruce, Blue Tansy, and Frankincense. It has an uplifting, affirming, and powerful yet calming scent that is versatile enough that you can integrate it into your morning and bedtime routines and anywhere in between. Cedarwood has a warm, woodsy aroma that creates a comforting, uplifting experience. You can find Cedarwood in Young Living products, such as Grounding, Highest Potential, and Brain Power. Cedarwood is high in sesquiterpenes and may help remove mental blocks. King Solomon, whom “God gave wisdom and breadth of understanding as measureless as the sand on the seashore” (1 Kings 4:29-30), used Cedar wood to build the ancient temple. Most neuroscientists consider the limbic system to be made up of cortical regions, including the hippocampus which is generally associated with memory and focus, the septal nuclei which is tied to pleasure and learning through reward and/or reinforcement, the cingulate cortex which is involved in many aspects of memory and emotion, and also the parahippocampal gyrus which also helps with memory. We have all experienced a time when a certain aroma triggered a memory. Because essential oils contain volatile compounds, they can make their way into your bloodstream and travel through the blood/brain barrier very quickly. Evidence shows that inhaling essential oils can impact memory, balance hormone levels, and overall support healthy limbic system functions. Peppermint essential oil invigorates the mind and senses, improving focus and inspiring a sense of peace. It is also invigorating. When your day is dragging, the refreshing aroma will give you a boost of positivity. 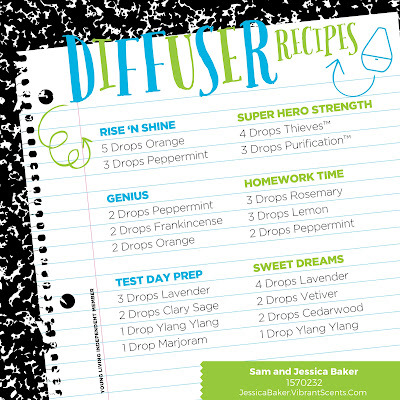 It may be just what you or your students need to make it through a test or homework. Clarity blends Basil, Rosemary, Peppermint, and other essential oils for an aroma that invites a sense of clarity and alertness. Brain Power is a blend of essential oils high in sesquiterpenes – like Royal Hawaiian Sandalwood, Blue Cypress, and Frankincense – to promote a sense of clarity and focus when used aromatically. Lavender promotes relaxation and the aroma can help you unwind before bedtime. You can add to bath or diffuse to create a calming and comforting environment. Alternatively, try this Sweet Dreams Pillow Spray or add a drop of Lavender on your child’s favorite stuffed animal. Tranquil essential oil Roll-On combines the comforting aromas of Lavender, Cedarwood, and Roman Chamomile. Usher in bedtime for kids and parents alike with a familiar, soothing scent by applying Tranquil to the bottoms of feet during evening routines. Peace and Calming essential oil is a gently, sweet blend of Ylang Ylang, Orange, Tangerine, Patchouli, and Blue Tansy. With a comforting, fresh aroma, Peace & Calming creates a relaxing environment that’s especially great for homes with children. 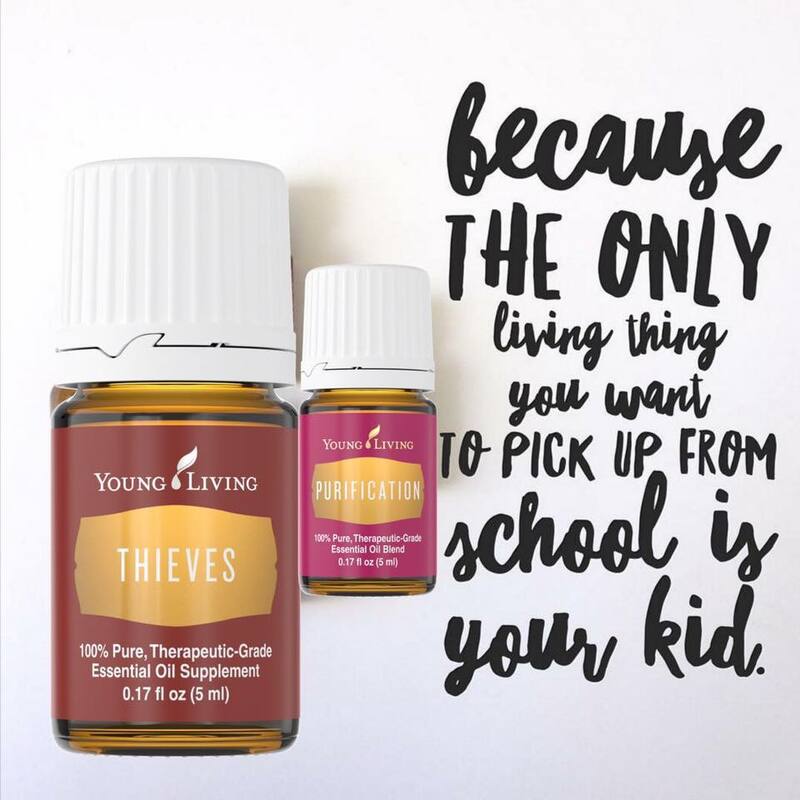 You’ll love that you can use this oil for your children’s bedtime, and then for yourself for a moment of quiet after the house has settled down. For an alternative, try Peace & Calming II. For children needing a little extra TLC at bedtime, try this Sweet Dreams Cream which includes several relaxing oils, including Cedarwood. We first fell in love with Cedarwood while diffusing it at night in our girls’ room. One particular child of ours has been an awful sleeper since the day she was born. I remember my husband and I taking turns to walk with her as an infant because she fussed all night long. One night when she was about 2 years old, we were camping and my mom drove her around in a golf cart all night so the rest of the campground could get some sleep. I kept thinking she would outgrow it and eventually learn to sleep, but she just wasn’t. Around age 3 she was diagnosed with a bunch of food allergies, which we believe was the root cause of her crankiness at night. While she still never slept soundly or for very long, she at least learned not to wake the rest of the house and would play quietly in her room (although she often walked around in an overtired, overstimulated, cranky state during the day). If you can relate, I am sorry! Hang in there tired, weary moms! 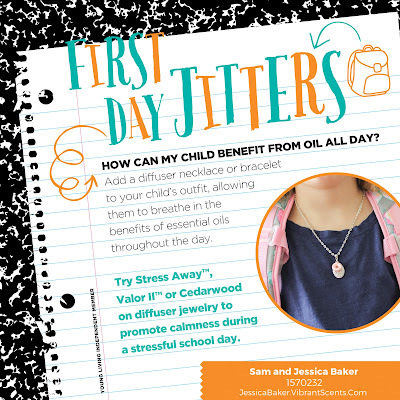 We started with essential oils when she was five years old and someone recommended we try Cedarwood. One night of using it left me wondering where this oil had been all her life?!? We found Cedarwood to be her oil of choice for promoting a restful night sleep. Every child is different though. Our other daughter calms down very quickly with Peace and Calming and Valor. The wonderful thing about this Sweet Dreams Cream is that it contains so many wonderful oils to create a comforting experience. For more tips visit Winding Down with Essential Oils. Purification does just what the name implies – freshens the air and eliminates odors. This blend of Citronella, Lavandin, Lemongrass, Tea Tree, Rosemary, and Myrtle is the ultimate weapon against odors. This stinky kids spray is great to use on shoes, sports equipment, smelly clothes, and more! Ditch the antibacterial soaps that contain toxic ingredients (such as Triclosan), and whip up some Germy Kid Hand Soap featuring Thieves essential oil. Alternatively, if you are like me and don’t have a lot of time for a lot of Do It Yourself Recipes, purchase the Thieves Foaming Hand Soap. It makes it super easy to lather, rinse, and get on your way! It contains no sulfates, dyes, synthetic fragrances, or harsh chemicals. With a plant-based, instant foam formula, skin is left feeling clean and refreshed, but never over-dried. You can even purchase Thieves Foaming Hand Soap Refill to refill your bottles. 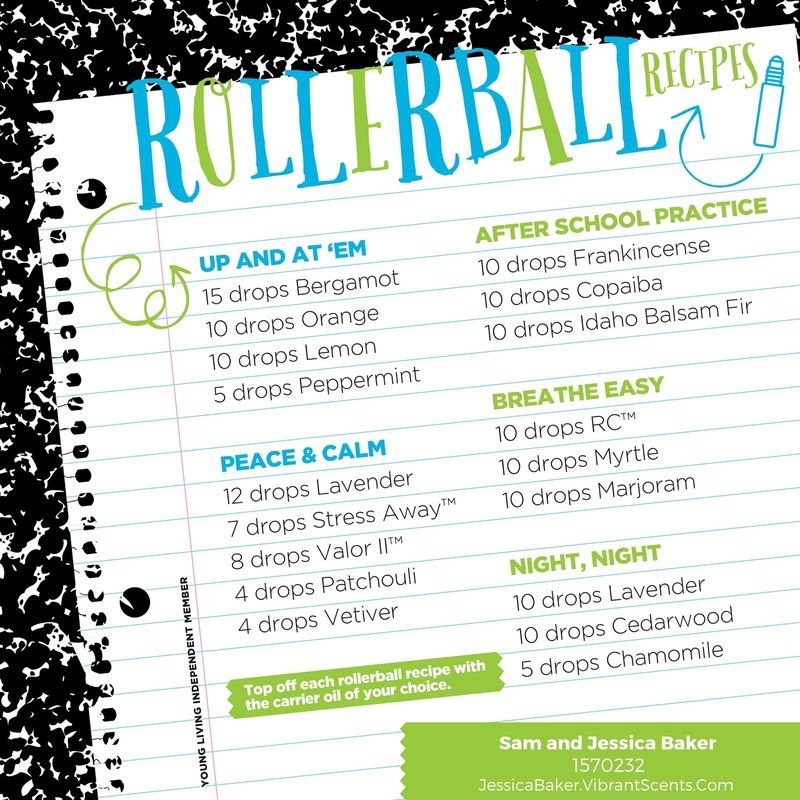 Check out these Rollerball Recipes! 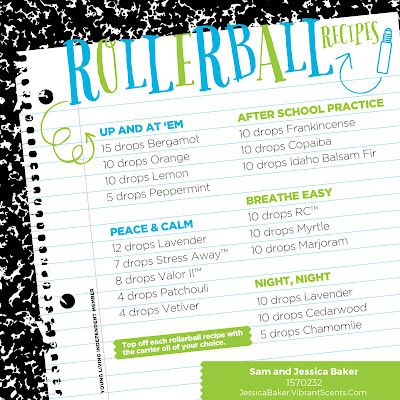 Rollerballs are great ways to quickly and easily apply oils on the go. 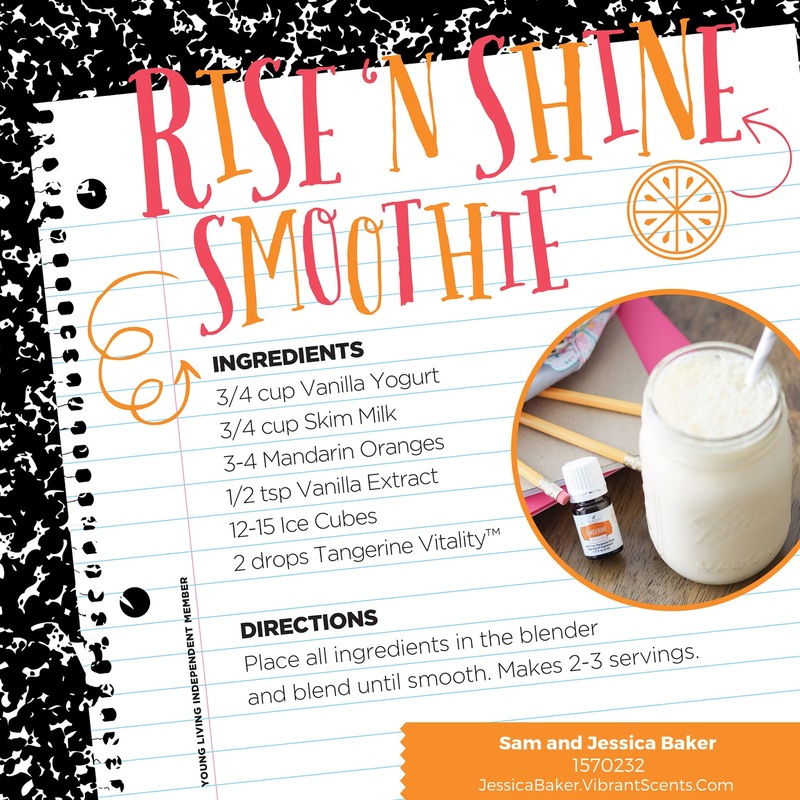 Whether you are rushing out the door to school, on your way to sports, or heading off to bed, there’s a blend there to support you or your little ones! 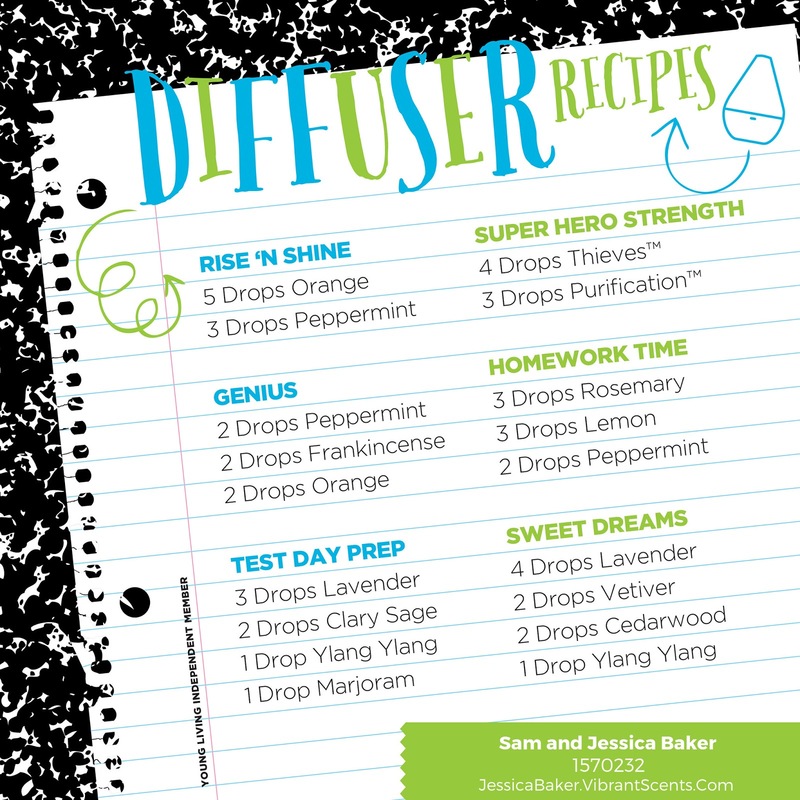 Because we homeschool and spend large portions of our days at home, we have a diffuser in just about every room in the house. Some classrooms will also allow diffusers. 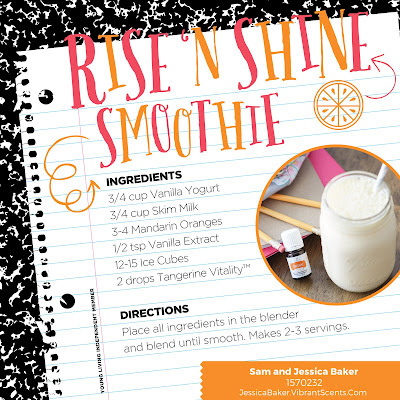 From Rise ‘N Shine to Sweet Dreams there is a blend to support whatever the day holds for you or your students! Show your Teacher’s some appreciation with these teacher’s gifts. 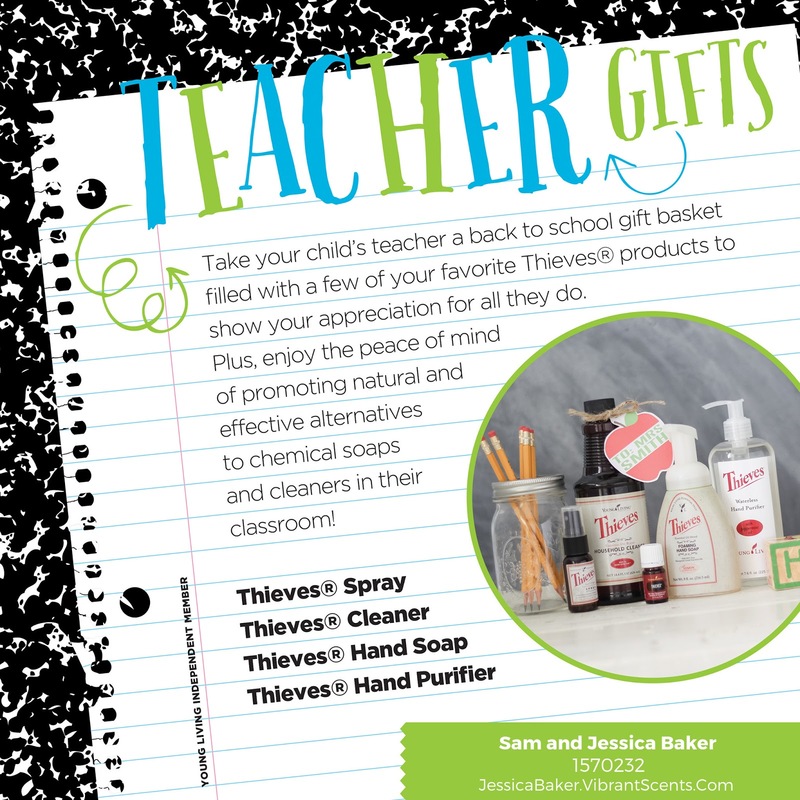 All teachers could use some Thieves products to promote a clean, natural classroom. We also love to make up Bath Salts (featuring Epsom Salts mixed with relaxing oils such as Stress Away or Lavender), and this Happiness Spray. Enjoy this short video to learn more about having the best Back to School yet! If you are not yet a wholesale member with Young Living, there are a couple of options for getting these oils into your hands, but I’d recommend the Premium Starter Kit which contains many of the oils we talked about tonight. I’m a frugal momma, and it’s the only thing on the Young Living site that’s half off. If you take the diffuser off, you’re literally getting 11 bottles of therapeutic grade oil for $70! The kit also comes with bottles to share the oils with your family and friends, an AromaGlide roll-on bottle to apply the oils on the go, and samples of NingXia Red for full system support. You also get a diffuser with the kit AND a lifetime wholesale membership. That means 24 percent off your oils FOR LIFE. Every single order you place is 24 percent off. To maintain a wholesale membership, you have to spend $50 in a calendar year of products YOU select. How do you get your Premium Starter Kit? Go to youngliving.com, click on “Become a Member”, and fill out the form. You’ll need a sponsor and enroller number because Young Living is a multi-level marketing company. Many people tell me they can’t buy from an MLM, but when you shop at Walmart, you’re supporting a CEO’s third home. When you shop at a MLM, you’re buying local. You’re supporting my family business. You’re paying for gas in our car and food on our table. It’s the best business out there, and one of the most important reasons is you get to see your friends and family financially blessed. My member ID is 1570232. You can also visit my website. Another AWESOME benefit of the Wholesale membership is the opportunity to join the Essential Rewards program and earn points for FREE products!! This is an optional program, and you can try it out and cancel anytime and still keep your 24% discount! What are the perks? Shipping is cheaper, there are special kits available only on ER (Like the NingXia ER Kit which allows our family to drink it for $1.16 an ounce instead of $1.60 an ounce), you earn points back, and if you spend 100PV, 190PV, 250PV, or 300PV you get oodles of freebies! Have you heard the stat that the average woman applies 300 chemicals with 80 of them before breakfast? Makeup is one of the worst offenders. I didn't know that back in high school when my body was so toxic that I started reacting to everything. I still have some scarring on the right side of my face from the time a Neutrogena facial cleanse sent me to the ER. What happens when our body is so chemically burdened? It may show up in something as severe as cancer or more commonly things like fatigue, brain fog, joint discomfort, and body pain. Download the Think Dirty app and scan your beauty products. You will be shocked at the chemicals lurking in many of the products you use everyday. 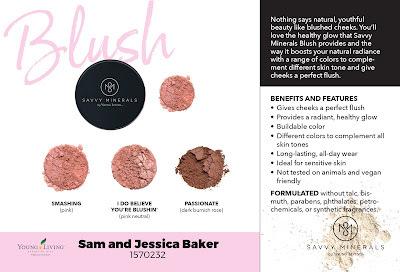 Ladies, it’s time to be savvy and clean up our makeup bag! Do you know the definition of Savvy? It means to “know or understand; the ability to make good judgements”. Just by reading this article you are on your way to being a Savvy Woman because you are educating and empowering yourself to make good judgements. YOU are the gatekeeper of your home. YOU are the only one that can control what goes on and into your body! A Savvy woman should never have to compromise quality for beauty. That’s why Savvy Minerals by Young Living was formulated to include only the most pristine ingredients. Our range of products is developed with an unwavering standard of purity and quality, giving you a full variety of naturally derived products made without cheap filler or synthetics – and that’s a beautiful thing! What’s NOT in our Makeup? 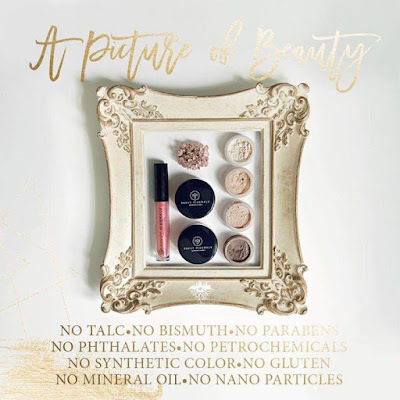 No gluten, mineral oil, petrochemicals, talc, parabens, nano-particles, phthalates, bismuth, metals, synthetic dyes, or fragrances! What IS in our Makeup? Kaolin clay, jojoba oil, mica, aloe, pure essential oils, aspen bark extract, arrow root powder, sweet almond oil, beeswax, sunflower oil, and Vitamin E. Young Living chose not to put the common “yuck” ingredients inside our makeup, they chose to put the GOOD stuff in there so we can actually have benefits to wearing Savvy Minerals! Conventional makeup contains chemicals, oils and other additives that can either irritate sensitive skin or cause unnecessary breakouts. Makeup is actually good for people to wear, as long as they are not wearing products harmful to their skin. 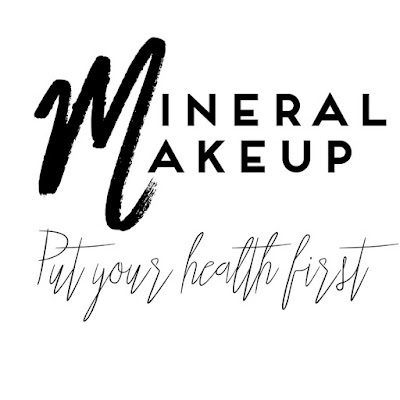 Mineral makeup is the safest because it adheres to the natural oils in a person's skin and doesn't seep into the pores. It acts as a protecting agent against free radicals while still allowing your skin to breathe. No wonder several people have reported calmer, smoother, less irritated skin after wearing Savvy Minerals for a few days! Let’s dig into the Savvy Minerals make up! We’ll start with the Foundation. These are very forgiving, which makes choosing a color easier. 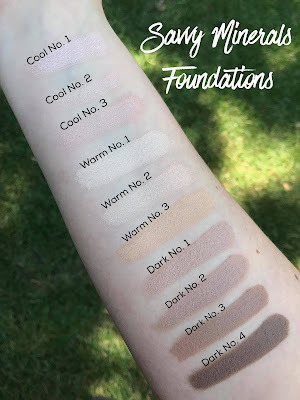 The Foundation comes in 10 colors: 3 Cool, 3 Warm, and 4 Dark shades. 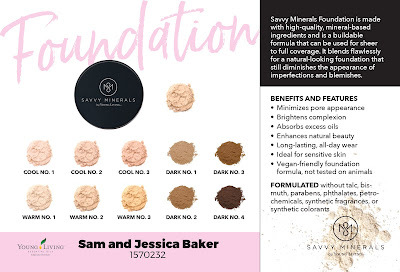 Just because they are called Foundations doesn’t mean you can’t use them in other ways. There’s a redhead who uses Dark 3 for her brows with a little Misting Spray! Next, we’ll take a look at our Blush. These truly do compliment any skin tone giving you a radiant glow. We have 3 colors of blush, and you could truly make any one of them work. However, Smashing is my favorite! It is a beautiful peachy pink and blends nicely with any of the colors in your closet. 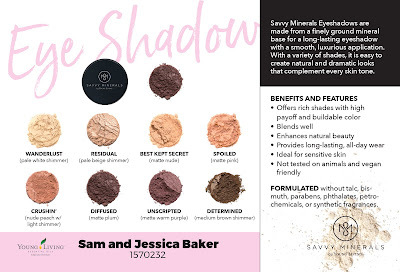 It also doubles as a beautiful, all-over shimmer for your eyes. 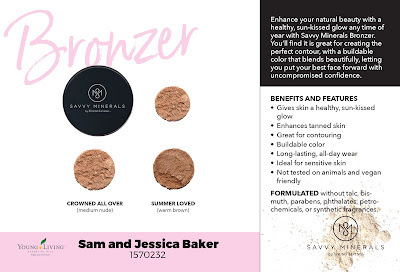 Bronzer is an area of makeup a lot of people do not feel comfortable using, but it is a perfect addition for summer time! It enhances your tanned skin and is great for contouring. Crowned All Over and Summer Loved are our 2 Bronzer colors. Either one is versatile and blends nicely on any skin tone. 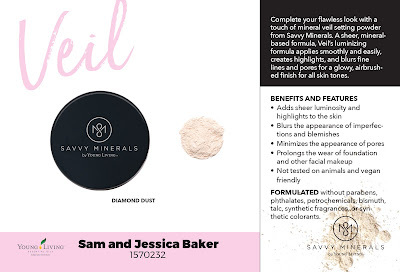 Mineral Veil is the finishing powder from Savvy Minerals. Diamond Dust is not only a perfect name for this luminescent powder, it is gorgeous applied as a highlighter. Dust it all over your neck, chest, and shoulders for a beautiful effect. Now let’s watch Melissa show us some quick tips on contouring with Savvy Minerals Blush, Bronzer, and Diamond Dust! 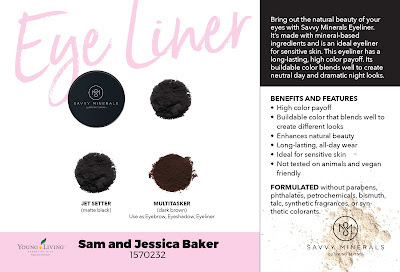 Our Savvy Minerals Eye Liner is a jet black mineral eye shadow. Use it dry for a soft liner or spritz your brush with Misting Spray to achieve a liquid eye liner. You can also mix this into another eye shadow color to darken any shade. Multi-tasker is the perfect name for this dark brown mineral powder. You can use it as a shadow, an eyeliner, fill in your brows, or even cover up some of those gray hairs around your face. Use it dry or wet for a more dramatic effect. Here’s Melissa again to show us how to make our eyes pop using these Eye Shadows, the Eye Liner, and the Multi-Talker. Let’s talk about our lips, shall we? 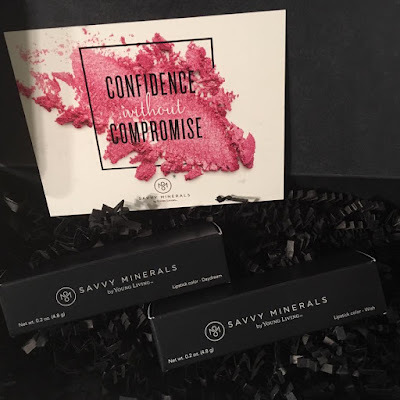 For kissably soft lips, you’ll love Savvy Minerals Lipstick! It is so smooth and creamy! Check out these 4 beautiful shades of Lipstick! I love every single one of them! You must try them all. Don’t let the shimmer fool you. It is beautiful and just the right amount to makes your lips appear fuller. Lip Gloss is all the rage right now. Let’s talk about a few things here. Did you know that the brighter the color and the longer the wear, the more toxins may be in the formula? And what about those lip glosses that are slick and oily feeling? 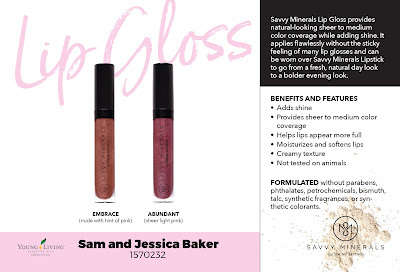 You can attribute that to the petrochemicals in your gloss. Ew. You lick your lips, eat your food, and sip your drinks all while wearing the stuff. Why would you ever apply anything but the cleanest, most pure ingredients to your MOUTH? Savvy Minerals is made with natural ingredients that you can feel good about licking! Right now, we have two beautiful colors, Embrace and Abundant. Both are beautiful! 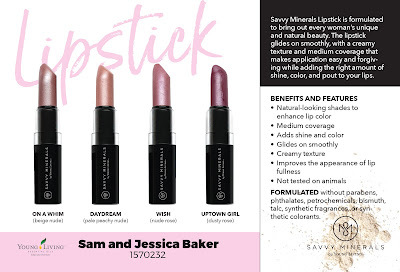 These lip glosses also contain pure peppermint essential oil which gives you a fun little tingle. 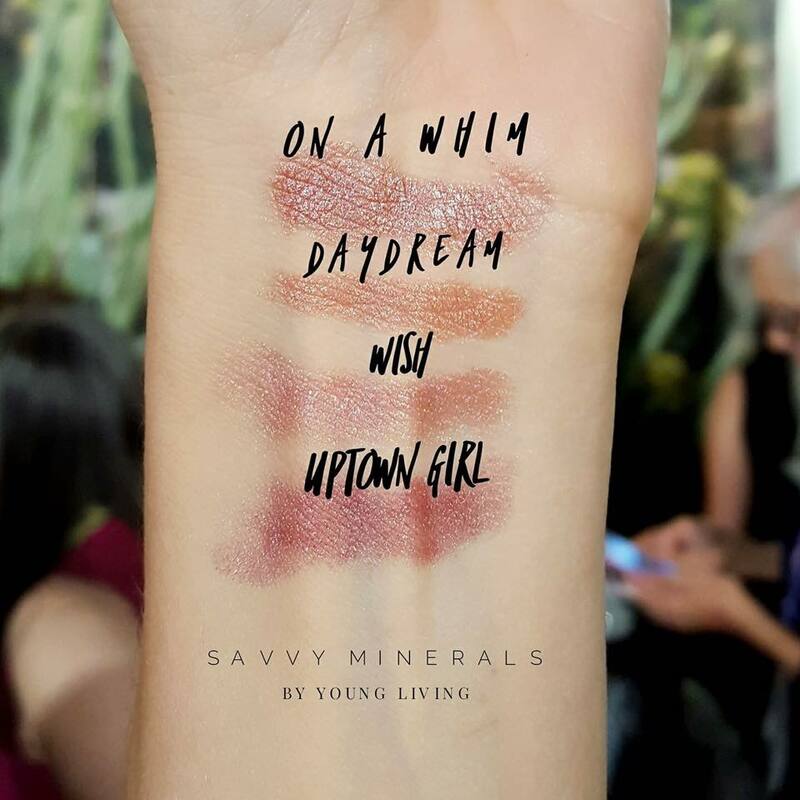 Wear these alone or layered over your favorite Savvy Mineral lipstick. Some women say they do not have time to put on makeup. That USED to be me. With 6 kids I really don’t have much time (at least not without a few kids attached to my hip). What I have found though is that I am a much more confident mom and wife, and far more productive when I take a few minutes for ME in the morning. Something about getting dressed and pampering myself just a little adds a little extra pep to my step! Even a little foundation and lip stick can go a long way. Here is my before and after with just Cool 3 Foundation and Uptown Girl Lip Stick. So what if I told you that you could do your face in 5 minutes? 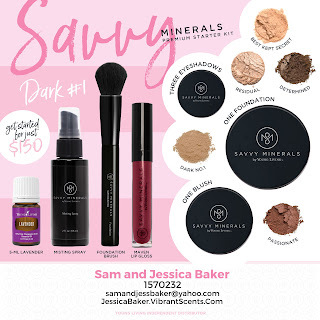 You certainly can and here is Melissa to show you how easy and quick this can be with Savvy Minerals! Your makeup is going to start with great skin care! Young Living is known all over the world for being the leading producer of pure essential oils. We do oils. That’s who we are. No Young Living makeup system would be complete without using essential oils. I personally love to apply Frankincense to my face daily, but you may choose to incorporate some other oils into your daily routine. Myrrh, Lavender, Tea Tree, Rose, Palmarosa, Geranium, Manuka, Helichrysum, Sacred Sandalwood, Royal Hawaiian Sandalwood, and Roman Chamomile all contain properties that support healthy, beautiful looking skin. You’ve seen all the wonderful benefits of Savvy Minerals Makeup and you’re dying to fill your makeup bag with clean, pure products your skin will love! Let’s talk about how to order so you can get started today! 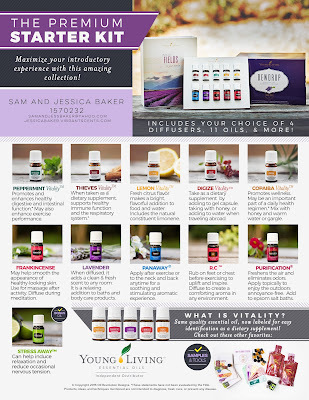 The first step is to become a member, and Young Living now has Savvy Premium Starter Kits! Choose your kit and get started today! 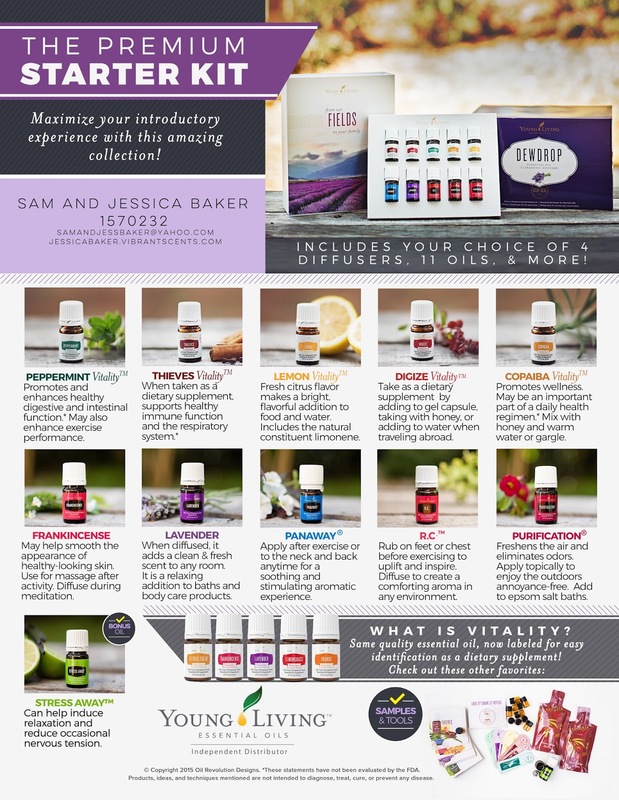 When you have decided which kit you would like, go to YoungLiving.Com, click on “Become a Member”, and fill out the form. 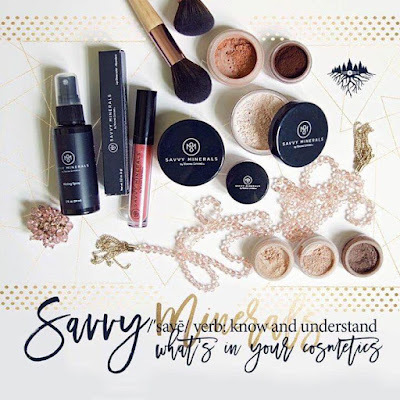 Click "Other Premium Kits" to find the Savvy Starter Kits. You’ll need a sponsor and enroller number because Young Living is a multi-level marketing company. Many people tell me they can’t buy from an MLM, but when you shop at Walmart, you’re supporting a CEO’s third home. When you shop at a MLM, you’re buying local. You’re supporting my family business. You’re paying for gas in our car and food on our table. It’s the best business out there, and one of the most important reasons is you get to see your friends and family financially blessed. My member ID is 1570232. You may be a makeup enthusiast and you already know you want to share Savvy Minerals with all of your friends. 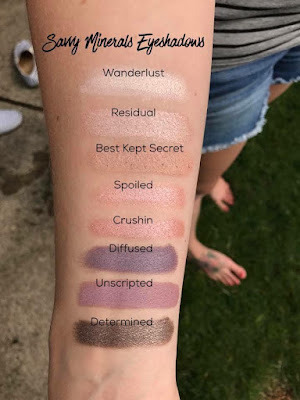 You can totally get your makeup paid for or earn money on the side. Some people have even make Young Living a full time career. The Young Living compensation plan is the most generous in all of direct selling and network marketing. You can go here to look at the Income Disclosure Statement to see some of the average monthly paychecks people are getting. It’s amazing! Our team offers continuous training through a program called Gameplan to help you succeed. Just let me know that is something you are interested in and I’ll get you added to our next training (which begins next week!). By now, you have become a savvy woman ready to make some real changes in your routine. Let’s get that makeup bag cleaned out and filled with the good stuff!